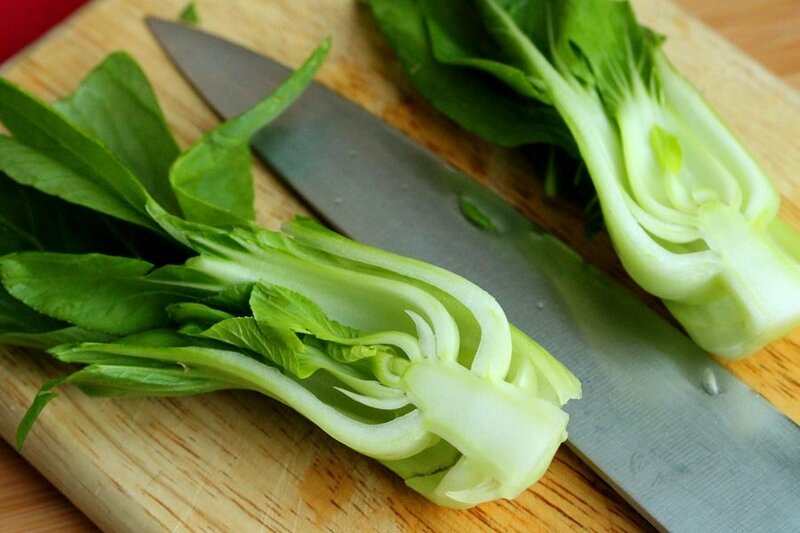 Recently, when I went to the grocery store I spotted a package of super cute baby bok choy in the produce department. The price was right so I bought it and the first thing I just had to make was a stir fry. 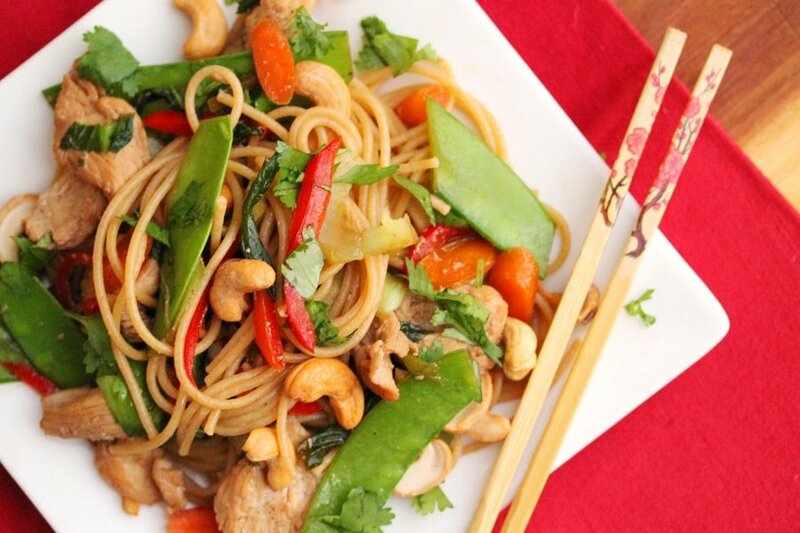 I used whole wheat spaghetti in this recipe which compliments the veggies and chicken. 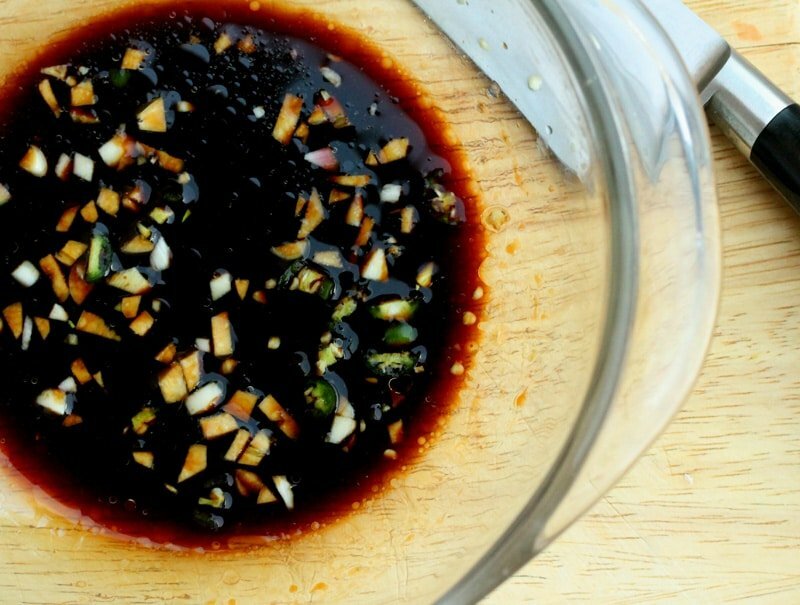 The marinade is easy to make and includes a Serrano pepper and garlic which gives the entire dish such a great taste. 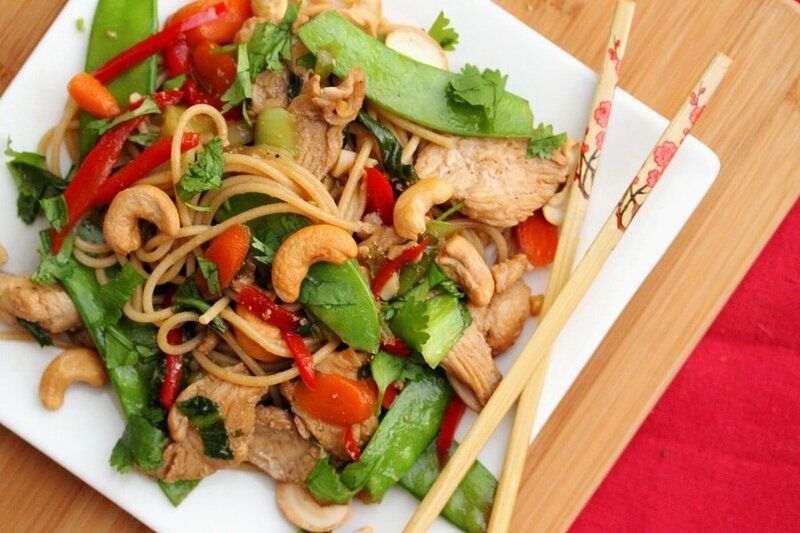 This stir fry is so delicious and it’s also quick, easy and healthy! Feel free to substitute the veggies and meat for others that you may like. It’s a great way to use up extra vegetables in your refrigerator too! 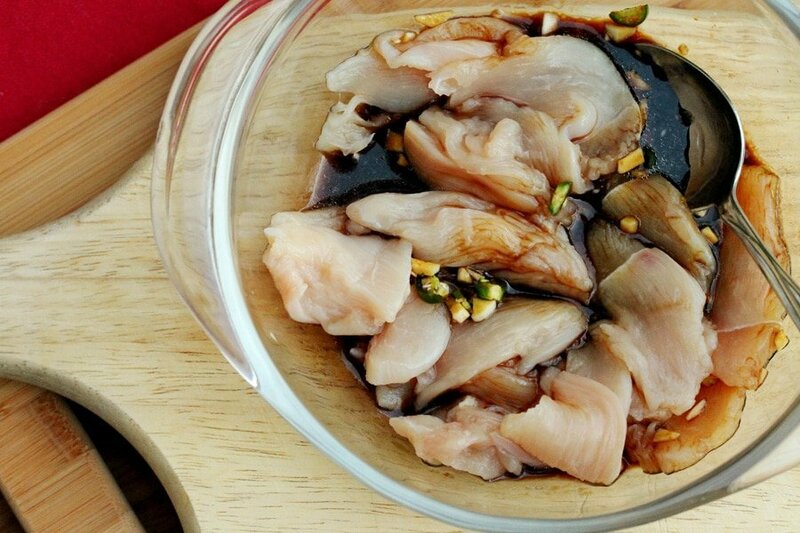 In a medium size bowl, add the soy sauce, sesame oil, fish sauce and garlic. 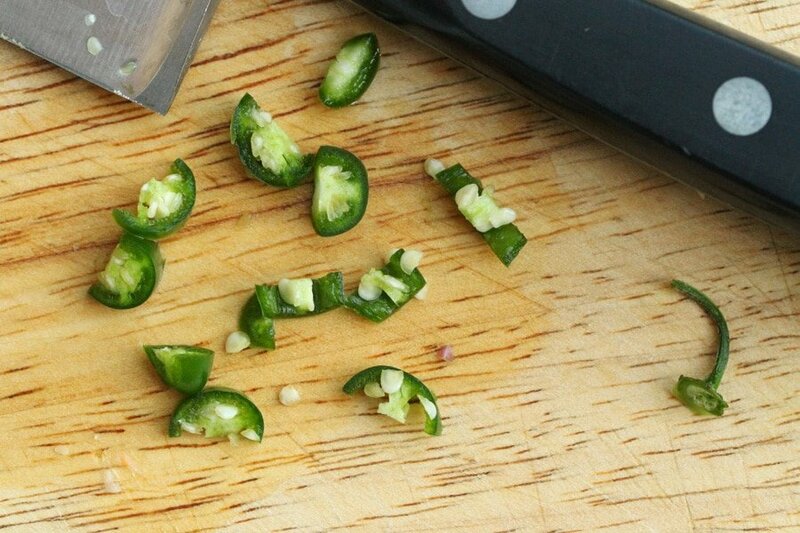 Dice the Serrano pepper (if you prefer less heat, remove the seeds). Add the Serrano pepper to the marinade. Set aside. 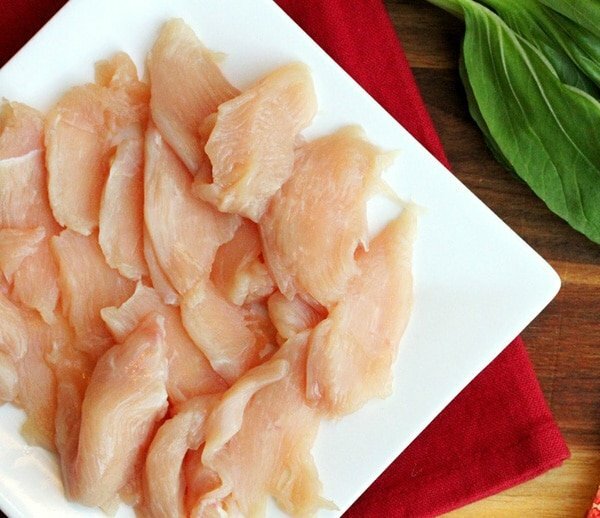 Cut the chicken breasts into thin slices. Let the chicken marinate for at least 30 minutes if you have the time. 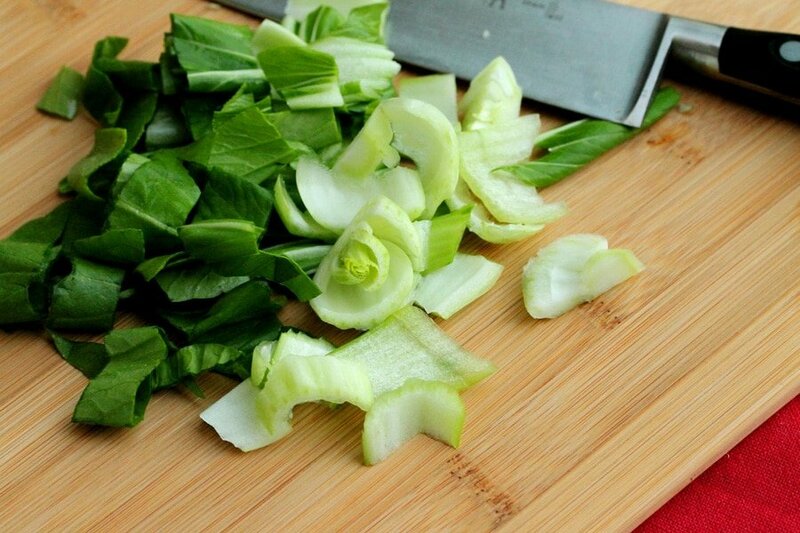 Chop the baby bok choy into fairly large pieces. 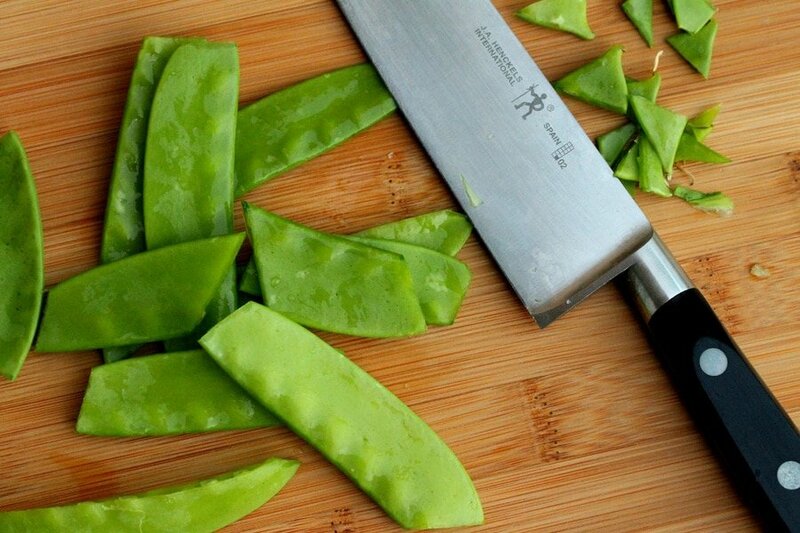 Cut the tips off of each end of the Chinese pea pods. Slice the carrots with a diagonal cut (about ½ inch thick). 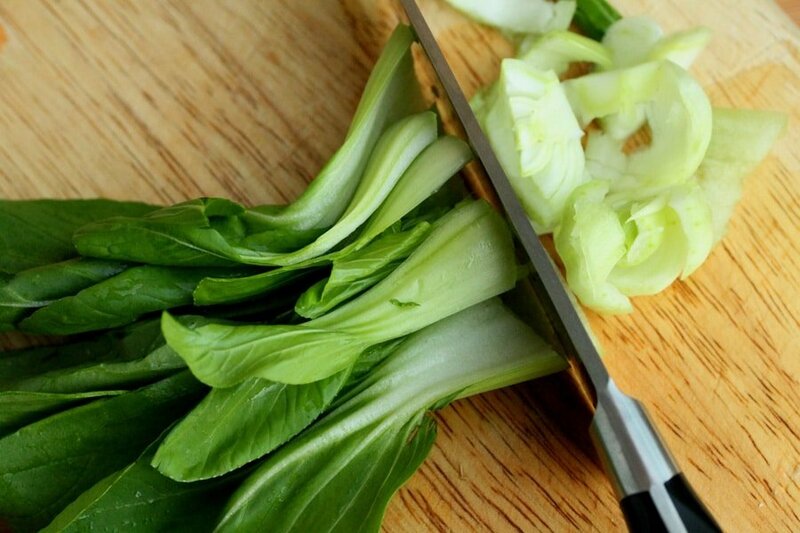 Cut the green onions into large pieces making about 5 or 6 cuts on each green onion (include the green sections as well). Cut the red bell pepper into very thin strips. 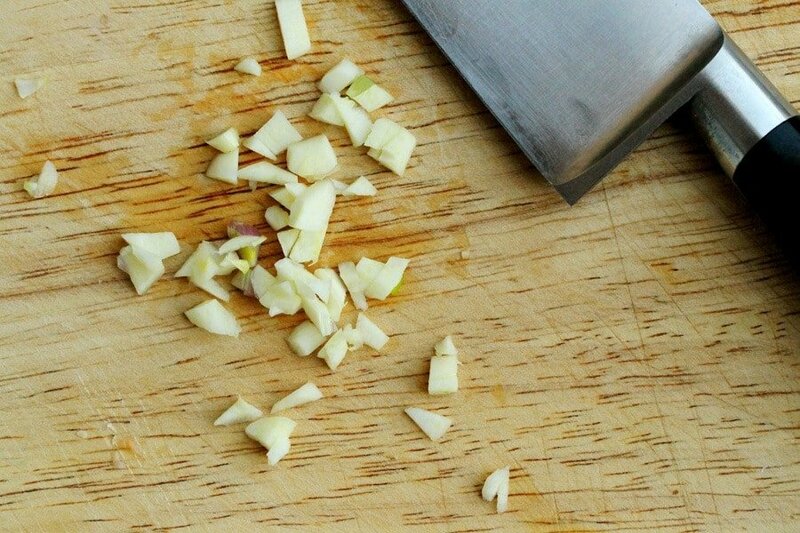 Set aside the vegetables for just a moment while you boil water for the pasta. 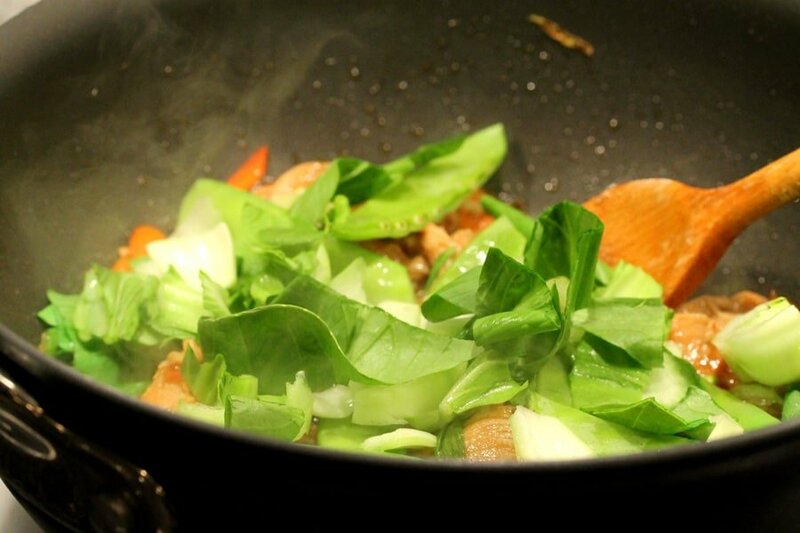 While the pasta is cooking, heat a large skillet on medium heat and add the olive oil. 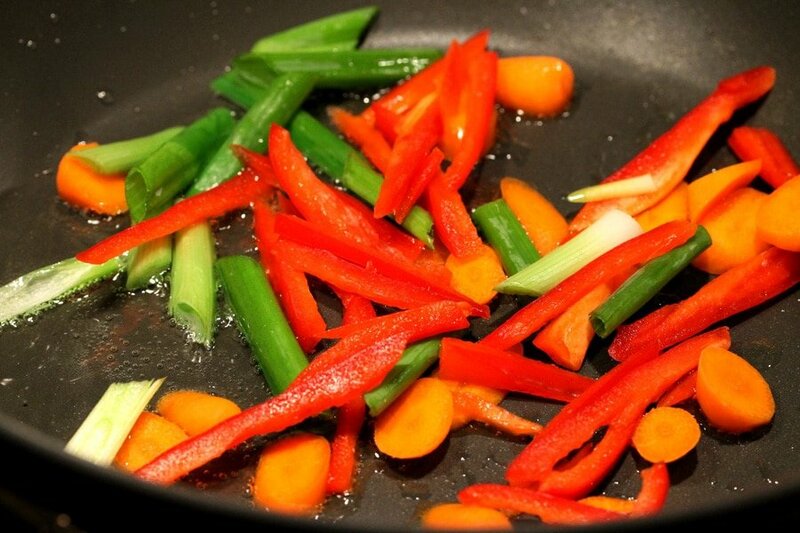 Add the carrots, green onions, and red bell pepper to the skillet and stir them into the olive oil. Next, add the chicken and all of the marinade to the skillet with the veggies. 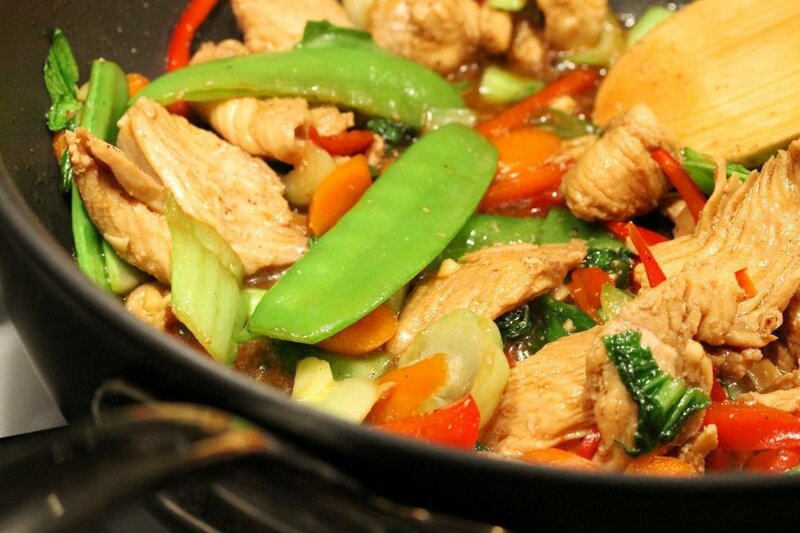 Stir the veggies and chicken together. 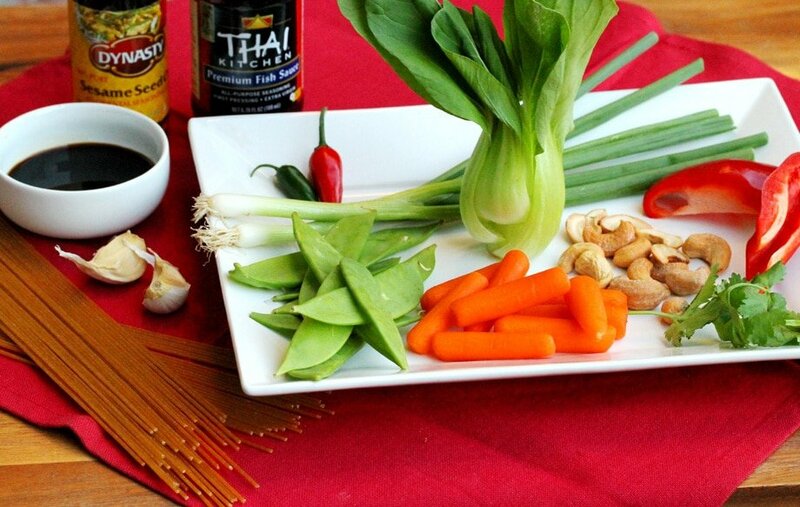 Add the bok choy and Chinese pea pods. Continue stirring until the chicken is thoroughly cooked. About the same time that the chicken stir fry is done cooking, the pasta should be ready. Drain the pasta and serve with the stir fry ingredients. 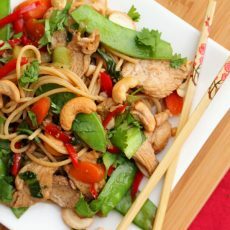 Top with the cashews and cilantro. Add a couple dashes of soy sauce if you like. A wonderful combination of flavors and textures. 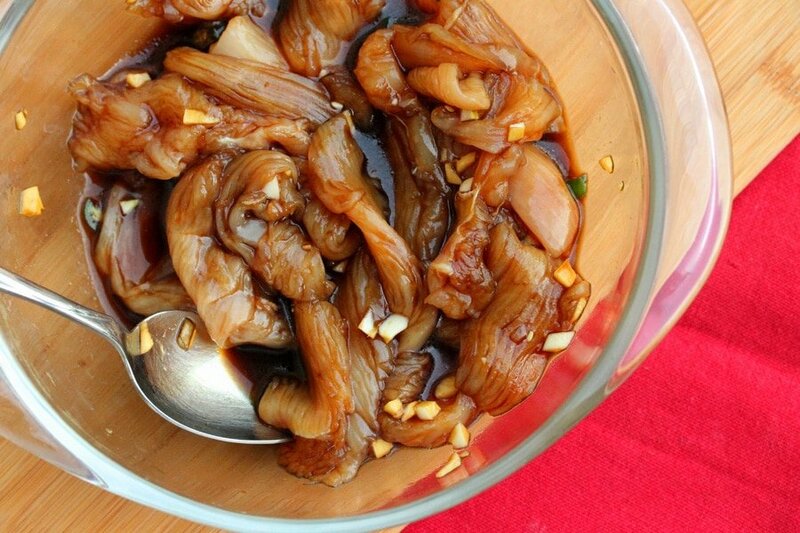 In a medium size bowl, add soy sauce, sesame oil, fish sauce, garlic and serrano pepper. Stir together. To the marinade, add the chicken. 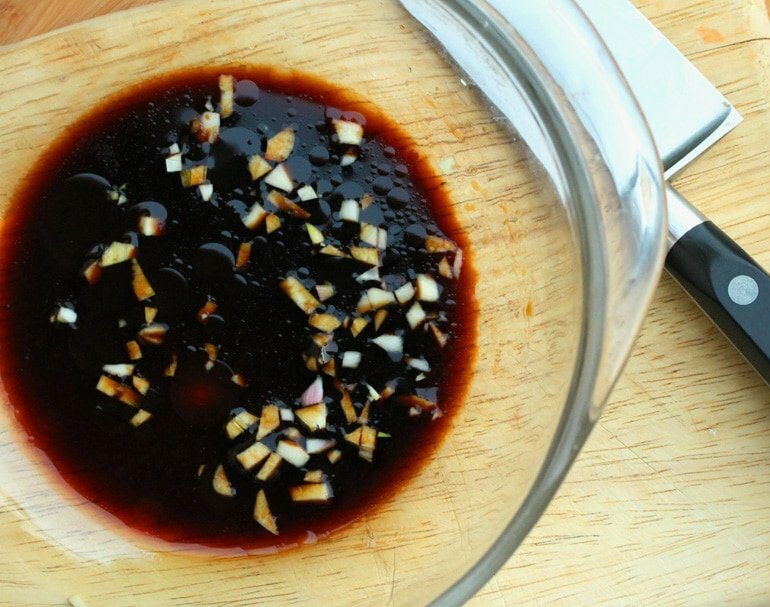 Let the chicken marinate for at least 30 minutes if you have the time. 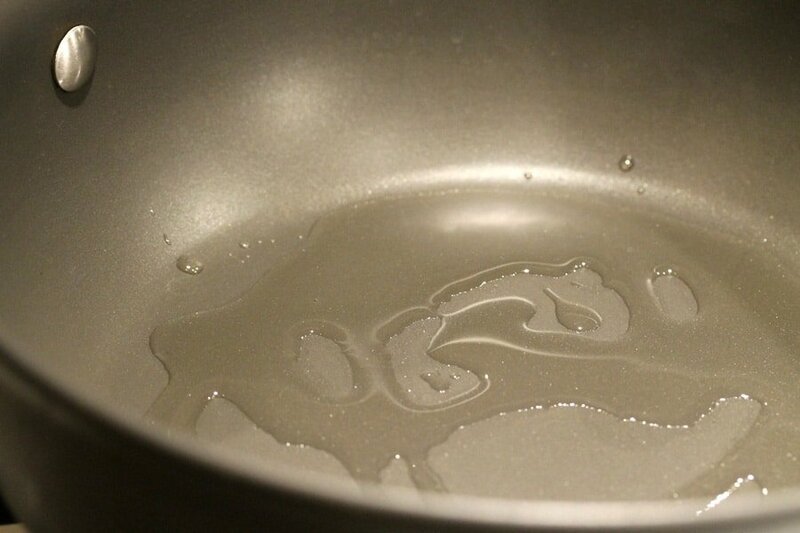 To a medium size saucepan, add water and salt. 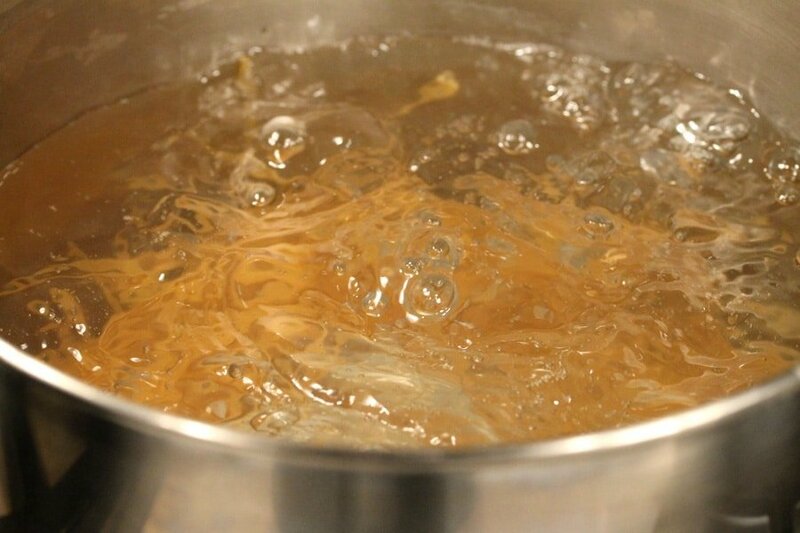 Bring the water to a boil and add the pasta. Stir. Let cook while stirring occasionally until the pasta is al dente (according to package instructions). Then drain the pasta (don't rinse). 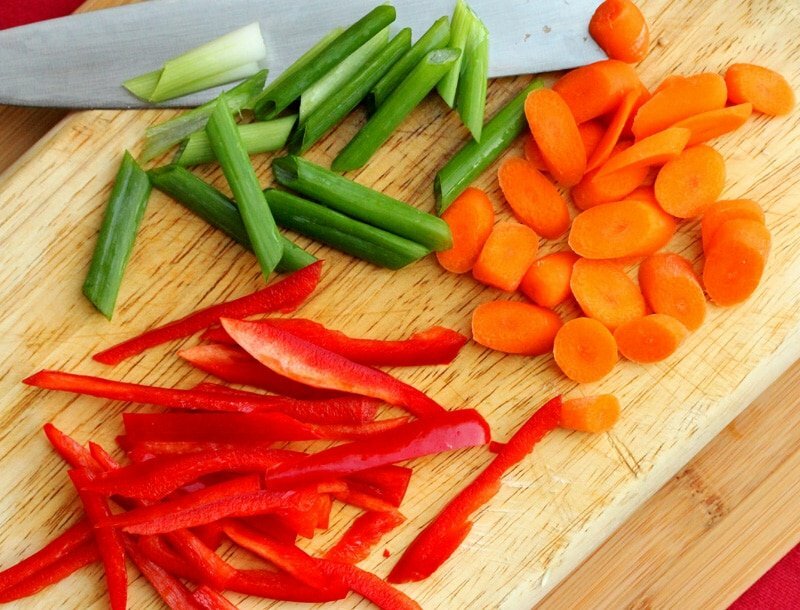 To the pan, add carrots, green onions, and red bell pepper. Stir. To the pan, add the chicken and all of the marinade. 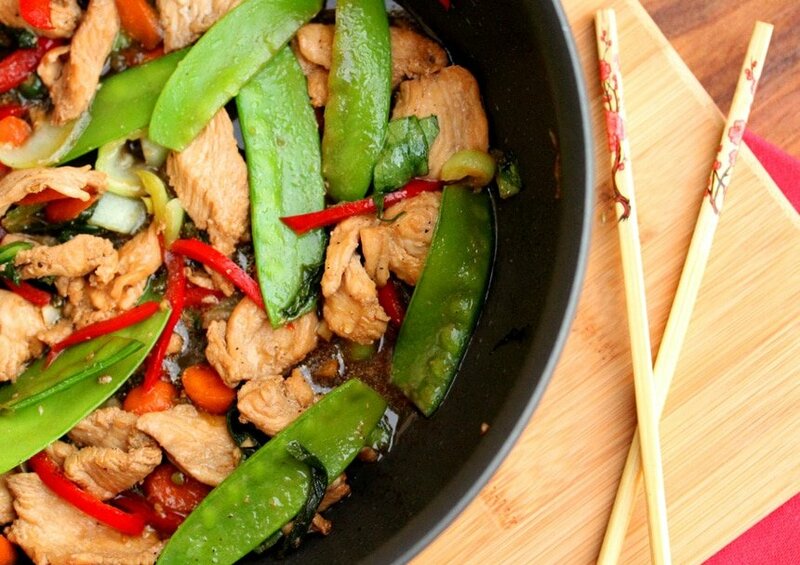 Stir the veggies and chicken together. 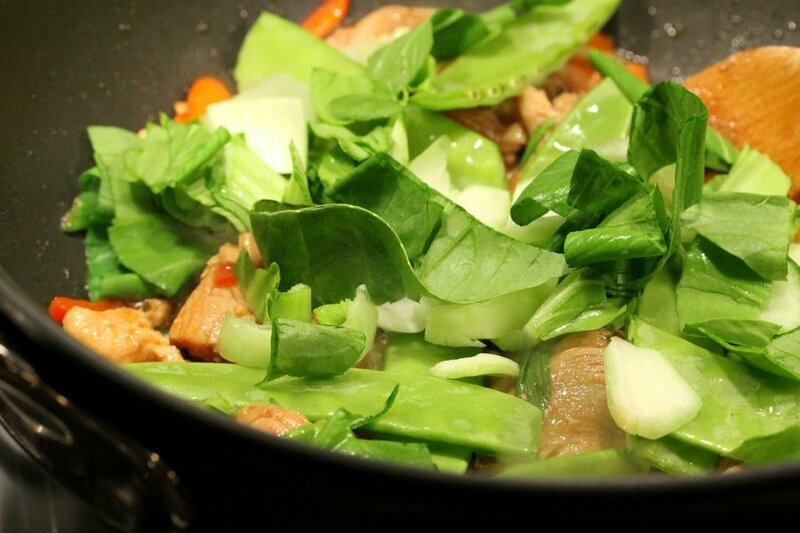 Add the bok choy and Chinese pea pods. 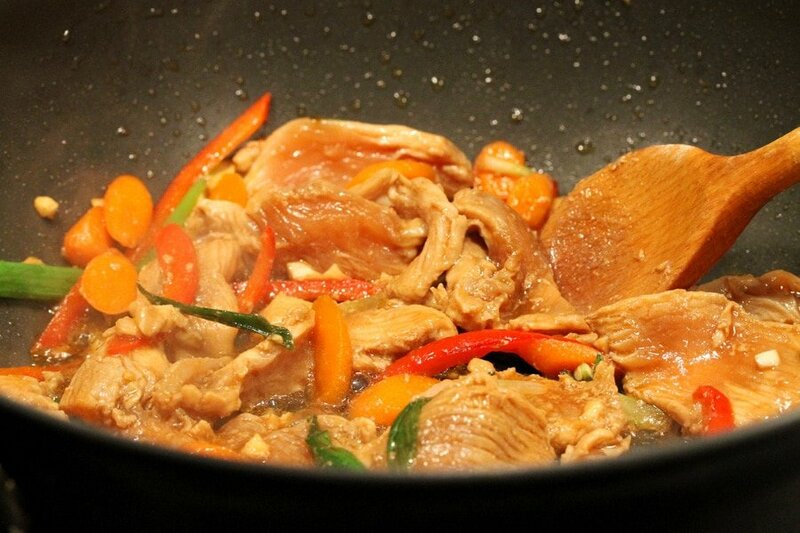 Continue stirring until the chicken is thoroughly cooked (about 8 to 10 minutes). 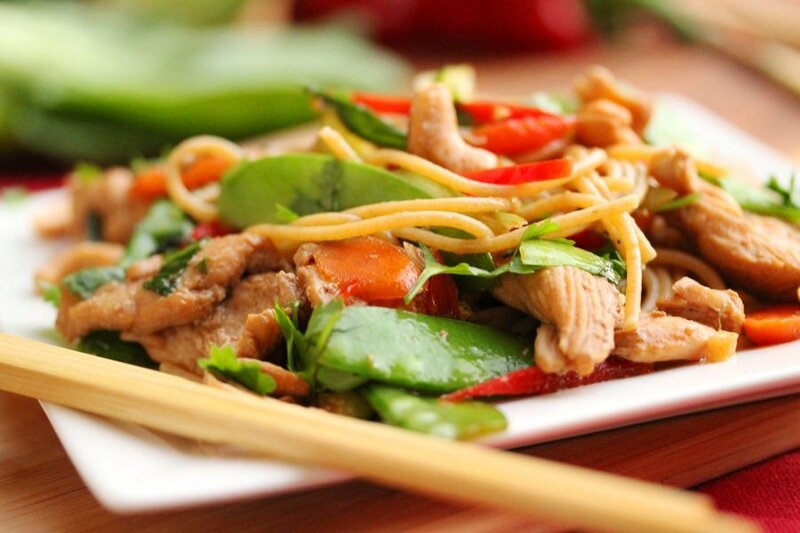 About the same time that the pasta is done cooking, the stir-fry should be about done cooking. 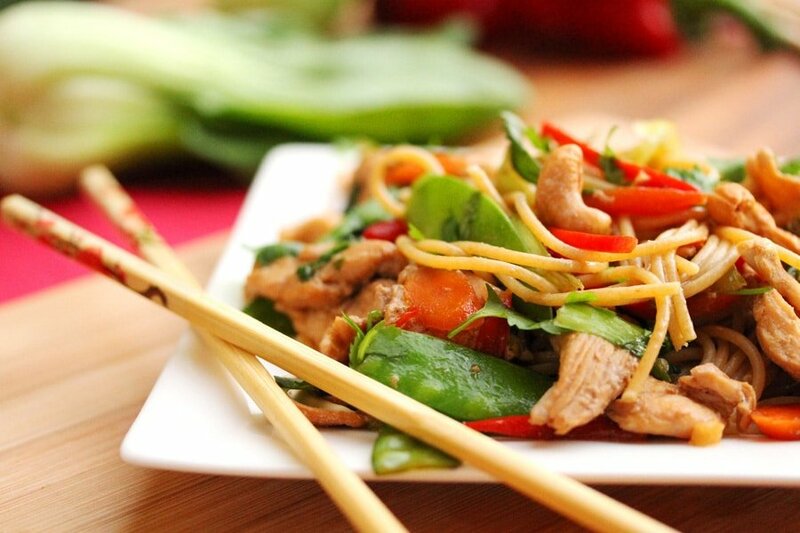 To the serving plates, add warm pasta and top with the warm stir-fry. 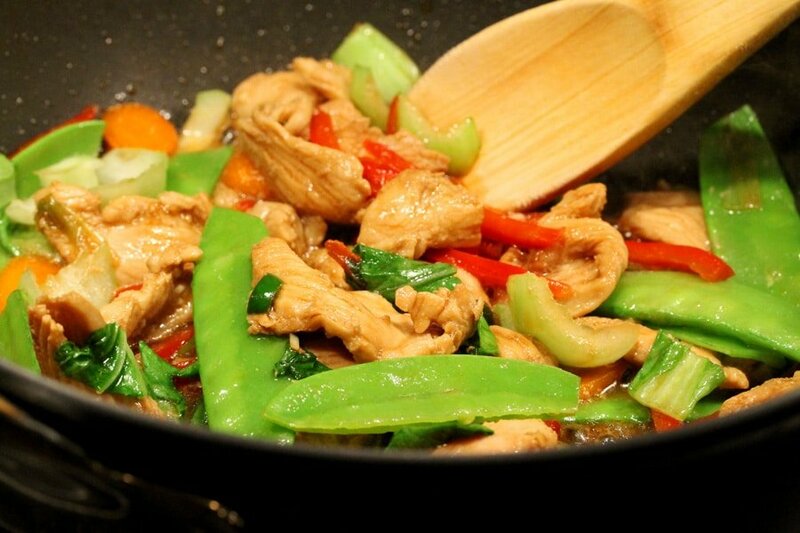 Add a couple dashes of soy sauce if you like and serve while warm.